This beauty came in for some repair work today, it's a Masakage Kumo Santoku. I put this here because I get a lot of questions about repairs and how long it takes to repair and to sharpen. I use two different techniques to repair an edge like this. 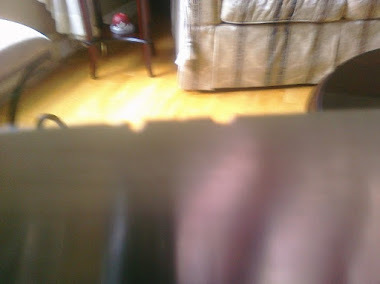 I need to remove the metal along the primary edge until basically, the holes disappear. I do this either using a 1" x 43" belt sander with trizact belts or with a very coarse stone. In this case I opted for the belt sander as I find that it is very quick and precise, as long as I go nice and slow and make sure not to get the blade hot. After the repair is done, the edge is pretty much non-existent, it's just a flat, completely dull line. 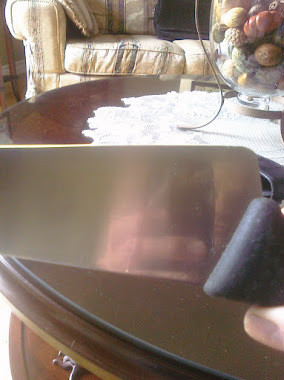 I then decide whether I need to thin the knife a little before sharpening it and in this case I did that. After the thinning on Naniwa Chosera 400, I started to sharpen it at 12 deg per side(as close to 12 deg as I can get, I am freehanding). 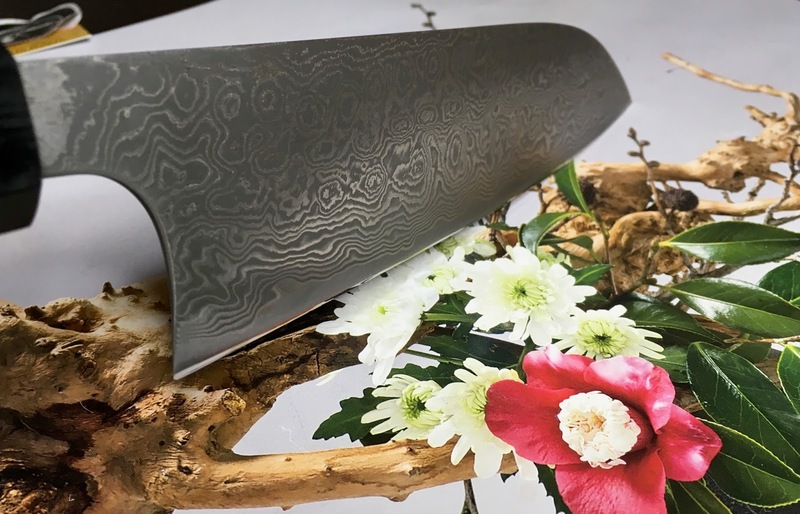 It was relatively easy to sharpen as a matter of fact and I finished it on an 8,000 grit Kityama. 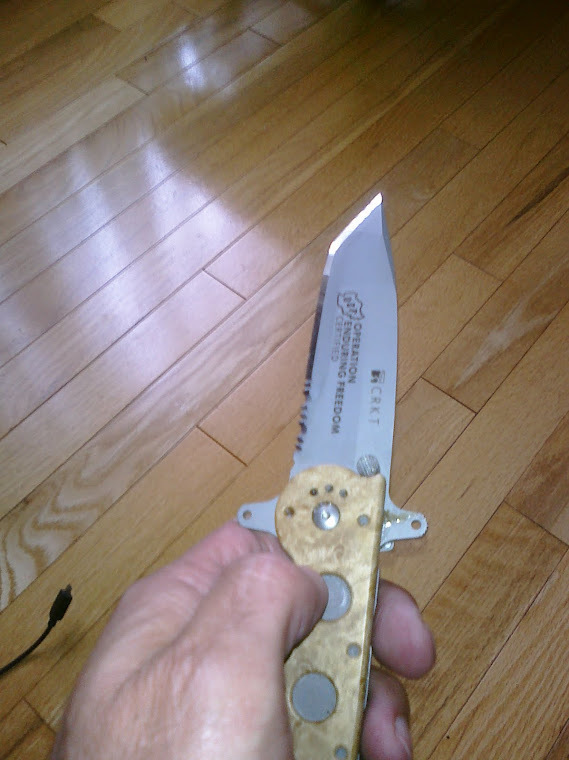 Total repair/sharpening time was 20 minutes.